Non-performing asset recognition is likely to get prolonged till the next fiscal year and can put Rs 5.24 trillion debt in FY19 at risk, increasing the potential bad loan stress, thanks to the recent Reserve Bank guidelines on delivery of bank credit, says a report. The RBI had last month come out with the guidelines stipulating that from April 2019, minimum 40 per cent of the fund-based limit of a borrower is required to be structured as a 'loan component' with a fixed maturity. It can be noted that a majority of analysts as well as the RBI are expecting that the dud asset recognition cycle has peaked and wanting to focus on the resolution. Under its base case scenario, the GNPA ratio of all banks may come down to 10.3 per cent by March 2019 from 10.8 per cent in September 2018, the RBI has said. 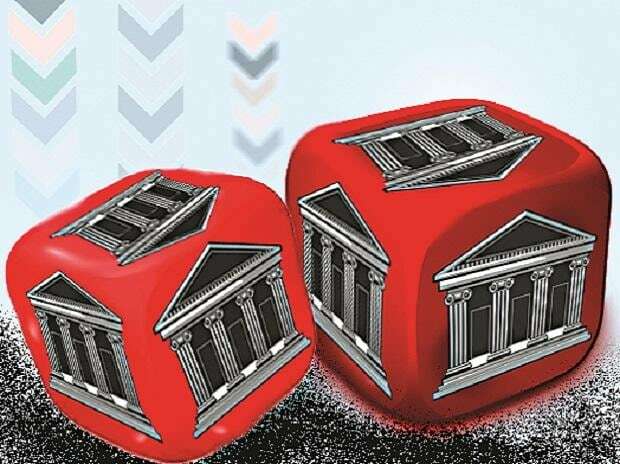 In a report, domestic rating agency India Ratings said Friday, the implementation of the new guidelines "can put at risk Rs 5.24 trillion debt in FY19, which could result in an increase in potential stress and extend the non-performing asset recognition cycle for banks to FY20." As the implementation will require a rollover of Rs 4.10 trillion of working capital loans in FY20. Of this, Rs 1.90 trillion is likely to face a "high or very high rollover risks" owing to weak operating cash flows and a high proportion of rollover requirement vis--vis debt outstanding at FY19. Over Rs 1.21 trillion debt (a part of the Rs 4.10 trillion) is likely to emanate from corporates rated 'AA-' and above, it said. The new guidelines will impact the working capital- intensive sectors the most, while export-oriented sectors are likely to remain unaffected, the report said. Power and real estate sectors account for 30 per cent of the total rollover requirements, while an additional 30 per cent comes in from construction, infrastructure, metals and mining, it said. The burden of cash management would first shift to borrowers on the implementation of the new RBI guidelines on the loan system for the delivery of bank credit, the agency said in the report. This will necessitate borrowers to install systems and processes to manage surplus cash and tie-up their working capital loan components (especially rollovers) with banks in a timely manner, it said.